First it was ombre, then, sweater-patterns, later even fur. What manicure will be fashionable in the season of autumn-winter 2016/2017? It turns out that just as eye make-up and lips, we will paint our nails with dark and shiny colours. Check yourself what manicure is on the top right now. Polishes in dark colours, shiny and metallic. This is how our manicure in the autumn-winter 2016/2017 season will look like. All colours that are iridescent green, purple or yellow, will be trendy this year. What is more, you can also paint your nails gold and silver. Such shades will certainly be suitable for every outfit for various occasions. Do you remember the glass manicure and shiny nails? This season, such style will be very fashionable again. All you need to do is to glue pieces of foil onto a painted nail plate. Cover the whole outcome with a clear top coat to harden nails and prolong their durability. 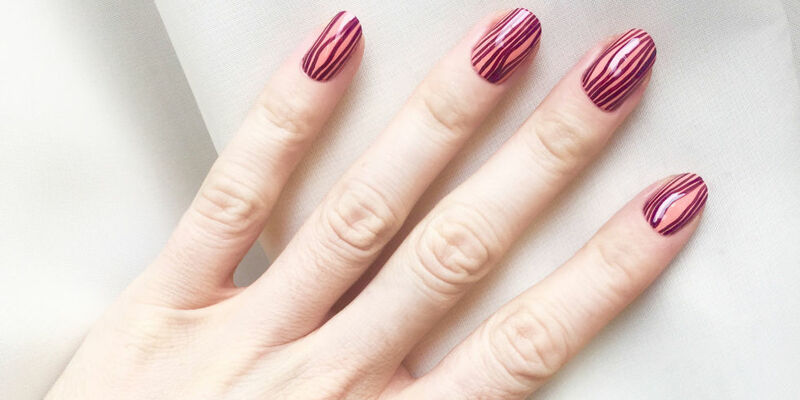 The trendiest manicure this season is composed of several layers of nail polish. The colours must be arranged on the nails to beautify your fingers and slim down nails. Painted in such way nails were presented by models at this year’s fashion show in New York. Graphic pattern on nails is not enough. Trends in the autumn-winter season 2016/2017 are focused on nails painted in one colour: classic red, dark brown, blue or burgundy. Another hit of this season is a manicure decorated with glitter. If you want dazzling nails, paint them with a shiny polish or add some glittering patterns. Remember, however, that trendy manicure means well-groomed nails. Do you know how to nurture and file your nails to make them look beautiful? Before you paint your nails with a lacquer in dark colours, apply a colourless base, which provides protective effects. Such base coat secures the nail plate against discolouration and extends the life of the polish. Additionally, make sure to use glass files. With these gadgets, you nails will not split, they will be strong and more resistant to mechanical and chemical damage. Before removing the cuticles, soak your hands in warm soapy water. Then, smear a special cream that has emollient and moisturising properties. What is more, remember to use regenerative cream for hands and nails every evening. How to apply blusher L’Orchidee Rose from Sisley?